I debated on blogging on last time for what most of can agree on a ragg-lass kind of year. I thought there's not much else for me to say, my heart was shattered this year over and over.. and I just fell into a funk so deep that I wasn't sure how to snap out of it. Until I learned exactly how to have gratitude and appreciate the things and the people that I have in my life. I started the year with a present from a friend which was a gratitude jar. 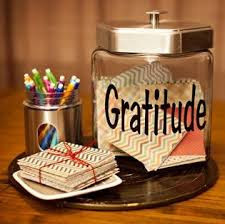 The jar's purpose was for me to write down something daily or weekly that I was grateful for. At first, I went through the motions, but as things started changing this year, from my last living grandmother passing away, to my steady writing gig at SoulTrain.com getting snatched, to losing my beloved Kashif and some other friends, I realized that I indeed have a lot to be grateful for. So for my last post for 2016--I thought instead of sharing lessons I've learned, I would share a few things from my gratitude jar. 1. I am so grateful for my granddeddy- his laughter and shade thrills me so. Since my grandma passed away in 2013, my granddad has become my phone buddy and can throw shade with the best of em. He makes me so proud. 2. I'm grateful for being able to spend time with my family on an actual vacation. This year my family and I went to Charleston, South Carolina for a family vacay..our first since I was in high school and lawd help us we all survived and didn't scratch each other's eyeballs out. We enjoyed each other just grateful to be able to spend time together. 3. I'm grateful I can walk even when my leg aches and hurts like the dayum debbil. Nerve damage is everlasting it seems and I still have my good and bad days, but when those aches and stabbing pains set in, I can now thank God that I can walk without a cane, and I can wear my baby wedges amen! 4. I am grateful I have been able to re-introduce my first love of cheerleading back into my life. I tumbled back into the cheer world as an All-Star Cheerleading judge in Dec 2015 and the experience this year alone of being picked to judge the Summit (which is THE BIGGEST competition for these gals) in Orlando was amazing especially for a first year judge. 5. I am grateful for my freelance hustle. This year alone, I have had some of the most AHHHHHHHmazing interviews. Being able to talk with the very ones that inspired me still has me on a level 1000000000000+. I chatted with Arsenio Hall and Donnie Simpson! I interviewed folks like Deon Cole, Patti LaBelle, Melba Moore, Tevin Campbell, Vanessa Bell Calloway and my uncle in my head Tito Jackson! So I am super grateful that JET Magazine gave me an outlet and a chance once SoulTrain.com shut down. I also rocked a piece for Vanity Fair this year! WOO HOO! More things are coming in 2017! 6. I am grateful for my friends. I keep my circle small but those I let in are the ones that keep me grounded, keep me laughing, sane, and ain't afraid to check me when I'm going left. I found one slip of paper dated Feb. 17th and it must have been after a convo with Kashif. It reads: I am grateful for friends like Kashif. I am just so glad I got to know him and be considered a friend. I will love this man forever and ever. Rest in peace friend. 7. I'm grateful to have a job. 8. I am grateful that my sister and I can hang out with out fighting all the time. 9. I am grateful that I finally learned HIM DON'T WANT ME! Finally, in the latter part of 2016 I have FINALLLLLLLLY learned that if he ain't interested, you ain't gonna make him interested. After yearssss of holding onto this crush and dropping bread crumbs hoping he'd follow em and pick up on what I was dropping, to finally sliding in the dm's only to be curved repeatedly.. yeah I got me some self respect, picked up my face and realized.. move on sis. 10. I am grateful for my supporters and readers. 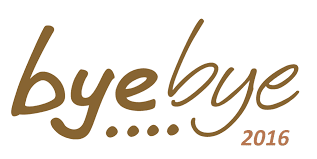 Without ya'll I don't know if I would write as much over here (ok don't do that, I know I don't write much as is LOL) but I really do appreciate all the comments, shares, retweets, requests, and ideas. It truly means more than you know. When I was going to stop writing completely a few months ago, it was YOU that kept me going. Thank you! I hope you all have a blessed wonderful gratitude filled 2017! Happy New Year!